The 1976 Montreal Olympics took over 30 years to pay off the debt it accumulated as a result of its overspend; the 2004 Athens Olympics grew almost a hundred-fold over budget from €123m (£100m) to €11.5bn (£9.5bn) in costs significantly contributing to Greece’s deficit, and the 2010 Vancouver Olympics ended up spending six times the original projection of $1bn. 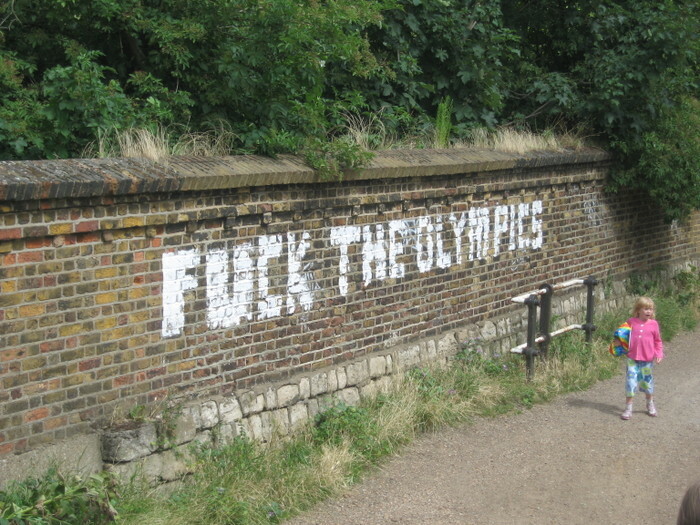 In fact, barring the 1984 Los Angeles Olympics – where bottom-up pressure meant zero public dollars were expended on the games, thus securing a $233 million surplus for the city – the Olympic games always exceed their projected expense, saddling cities with years of debt – often paid back through cuts in services, regressive taxes and increased fares. Interesting essay. I think that whilst it gives a fair approximation of the physical reality of the impact of the games, perhaps the conspiratorial element is not as accurate. The vast market forces that shape reality are, as a collective of individuals with myriad motivations – not just profit – themselves without a consciousness or conscience. Having been immersed in anti-capitalist acquaintance in the past, I always had the sense that the anger at the machine was futile. This is a well-researched and insightful commentary that exposes a catalog of consistently treacherous actions taken by the powers that be amongst Olympic host cities. I was especially moved by the mention of the games negative impact on the economy of Greece. Here I was thinking that all the effort of reorganizing an entire section of a city would bring an almost assured profit that the residents could enjoy. Man I was wrong. Los Angeles and the BIG Homeless solution Announcement | KarePak, Helping The Homeless Who Have Pets.